Nardwuar the Human Serviette, BA’90 (History), is a legend in the world of Vancouver indie-music. Not only is the tartan-hatted one a UBC alumnus and CiTR radio host, he is also a celebrity interviewer, a pop culture historian, and front man for Vancouver punk rock band The Evaporators. This interestingly-attired Canuck is known for his quirky and energetic interviews, which typically begin with an ambush of the unsuspecting subject. For almost 20 years, Nardwuar has been baffling, flattering, impressing, and sometimes offending his interview subjects, who include the likes of Canadian politicians Jean Chrétien and Paul Martin, and pop culture icons Kurt Cobain and Lady Gaga. Nardwuar recently released a compilation LP/ Calendar, Busy Doing Nothing. The first video for “I Hate Being Late (When I’m Early), a song by his band The Evaporators (with Andrew W.K. ), was shot at CiTR UBC Radio . For more information, visit Nardwuar’s website. Keep on rawkin’ in the free world! Probably my lifetime membership to CiTR UBC Radio! CiTR is the best radio station in the world! You are not a DJ at CiTR. A DJ is told what to do. You are a programmer, an operator, a writer, a producer. You are in total control. You can do whatever you want, within the CRTC guidelines. My great cousin Eric Nesterenko who used to play for the Chicago Black Hawks. Not only was he an amazing hockey player, he also was the coach in the movie Youngblood with Rob Lowe! I kind of alluded to this earlier – it’s CiTR Radio. But radio does make you hungry, so I love to spend quality time at the Tomahawk BBQ in North Vancouver eating the tasty Skookum Chief hamburger. What’s on it? Egg, bacon, weiner, meat, and cheese. Basically three meals in one. Bryan Adams once worked there as a dishwasher! A whole bunch of my favourite magazines and fanzines such as Discorder, Maximum Rock ‘n Roll, Shindig, Beatroute, NME, and Ugly Things. Oh, and the book Violence Girl by Alice Bag about the legendary LA punk band The Bags. My face in mirror! I am just happy to be here on this earth! Finding some rare vinyl at Zulu, Red Cat, Neptoon or Beat Street Records. Vancouver has such good record stores! Didn’t have one although people used to scream “clam chowder and chips!” at me, in reference to my favourite foods. 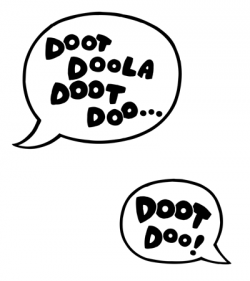 Doot doola doot doo … doot doo! Since this is an interview from a UBC publication I would have to say it would be that the SUB building would play CiTR Radio in the halls to help expose students to the best club on campus. An original Velvet Underground poster from when they played the Retinal Circus in Vancouver. Yes, I love posters! My mom, who has sadly passed away. She inspired me with her journalistic skills and got me interested in history. Can I use this again? Doot doola doot doo … doot doo! Courtney Booker, a prof at UBC, interviewed me recently and told me about a medieval poem written by Alcuin that had the line “O little Nard, you small man, be well.” So judging by that, can I say the Middle Ages? Gouda cheese. Just don’t like it. Seems to give me a rash. I’d love to be able to draw like Vancouver/Toronto/London artist Jason Mclean! My favourite 60s band, The Sonics, from Tacoma, Washington. My favourite 70s band, The Pointed Sticks, from Vancouver and my favourite band from now, Montreal’s Grimes. The lead singer of the Canadian band The Tea Party. And he looks like Jim Morrison. Who I look nothing like. Someone also once said I had an Oregon accent. If I can do something, anyone can. I would urge anyone interested in media to get involved with CiTR! I joined when I was a teenager and am still involved! CiTR has hooked me up with so many interviews over the years with everyone from Mikhael Gorbachev to Nirvana to Snoop Doggy Dogg to probably your mother! You can also get involved with sports, news or writing for the station’s program guide, Discorder. Don’t just sit there, do something! Become the media! Thanks for your time, keep on rawkin’ in the free world and doot doola doot doo …doot doo! There are numerous ways to get involved with the station, and volunteering is open to both UBC students and community members. Departments include: Arts, News, Sports, Production, Discorder (publication), Design, Promotions and Outreach, Events and Fundraising, Web, Live Broadcasting/Sound Tech, Music Committee, Administration, and more. Find out more. I am the father of Paul Christopher Preminger, one of the founders of the Smugglers, the West Van Garage Rock Group that you helped get into the limelight. Paul C. passed away on 27 October 2009 with an enlarged heart and I note that quite a few of his friends and fans still bring up his name. Paul thought highly of you. Very interesting question: is there any well known person that you have been told by others of which you remind them? For me, and for decades, Richard Dreyfuss. I don’t see it, but then we don’t see ourselves as others do.